Kiki Milloy is fresh off a state championship with Redmond High and Amirah Milloy’s Huskies are in the Women’s College World Series. 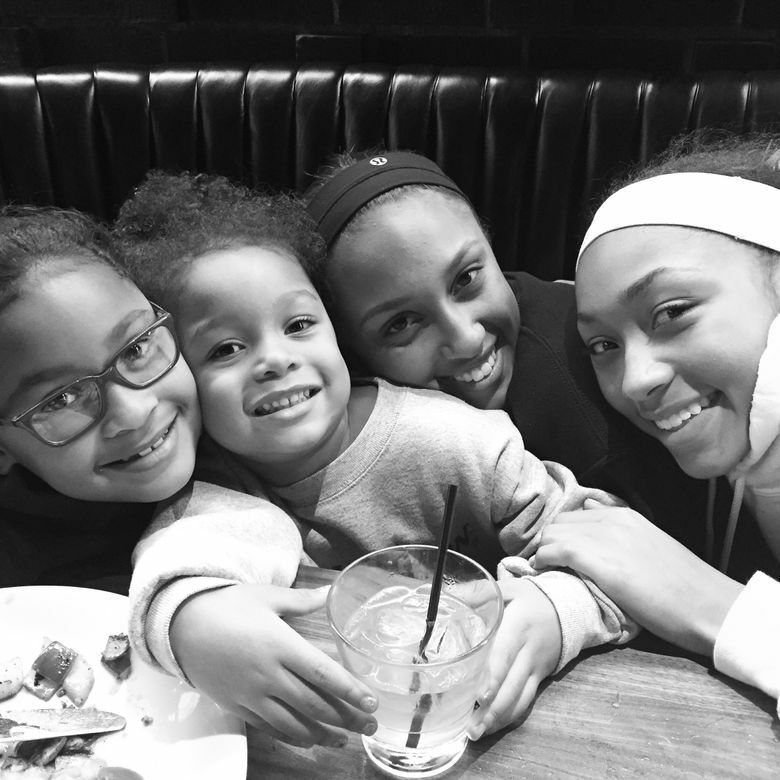 For the daughters of Lawyer and Claudine Milloy, softball is a passion. Claudine Milloy spent last Saturday night at Husky Softball Stadium watching two games at once. The matchup on the field featured the Huskies, for whom her oldest daughter, Amirah, plays. And through an app, Claudine Milloy virtually followed the performance of her 10-year-old daughter, Tia. Claudine Milloy arrived at the NCAA Super Regional game after driving from Lacey, where another one of her four daughters, Kiki, played in the Class 3A state softball tournament. Before Washington’s game, Amirah Milloy heard the news that her younger sister, a sophomore pitcher at Redmond High School, led the Mustangs to a state title. The next day, Amirah Milloy had her turn to be part of the team celebrating on the field. UW advanced to the Women’s College World Series, and Thursday morning, Claudine and Lawyer Milloy headed to Oklahoma City to watch. They follow the UW team as parents and alumni, but they also carry a laundry list of athletic accomplishments, ones that occasionally create a bit of pressure for their daughters. Claudine Milloy was a two-time All-American track athlete, while Lawyer Milloy played 15 years in the NFL and earned a Super Bowl ring along the way. 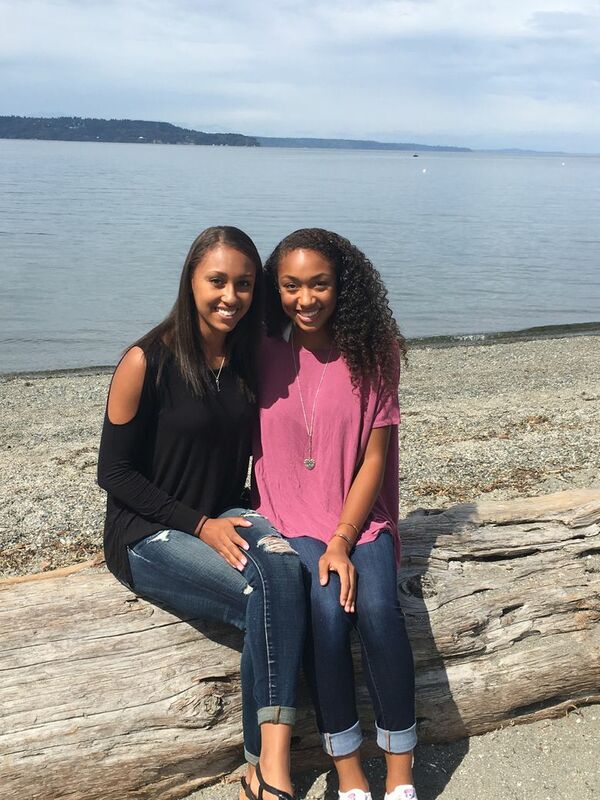 While Kiki Milloy plans to attend college more than 2,000 miles away from Seattle (she has verbally committed to play at Tennessee), her older sister plays on the same campus her parents once did. Every time she’s in the weight room, she sees a public display that highlights her father’s success. But Amirah, a sophomore outfielder for the Huskies, said her father gives her space, too. Sometimes he visits campus and she doesn’t know he was there until she sees his posts on social media. Plus, it helps that she and her siblings play softball — a sport their mom never played and one that’s similar, but still different from baseball, the other sport Lawyer Milloy played at UW. Amirah began playing the sport thanks to a suggestion from a friend in Buffalo, N.Y., where her dad was playing at the time. Kiki wanted to play because she looked up to her sister, and the trend continued for the next two daughters, Tia and Breya, a 5-year-old who recently started tee-ball. The Milloys have a batting cage in their backyard, and the younger siblings learn from seeing their older sisters practice and play. “When it’s their turn at that level that they already watched, they’re a little more advanced than some other kids because they’ve already watched,” Lawyer Milloy said. The chaos of practices and games is kept in order by an abundance of carpools and Claudine Milloy’s digital calendar, which is color-coded for each child. When she watches her daughters play, Claudine is usually nervous. She paced throughout Redmond’s state-title game with only brief periods spent in her chair. Lawyer, an assistant coach at Redmond, is fairly calm, Kiki said. He’s learned to embrace that demeanor as he continues to be involved in his daughters’ softball careers. As parents, Claudine and Lawyer wanted their children to find something to invest themselves in, whether that was art, music, academic clubs or sports. Still, Lawyer knew when he married a track athlete the chance of having athletic kids was likely.